The painting category received the largest amount of entries with received for the All Women Art Competition. The painting category is considered to be any art where a pigment was applied to a two-dimensional surface, such as canvas, paper, or panel. 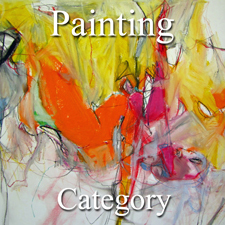 The painting category comprises the following media; acrylics, oil, pastels, watercolor, gouache, tempera, ink, encaustic, fresco, spray paint, etc. applied on canvas, canvas board, paper or any other flat surface. All winning entries will now be featured on the Light Space & Time website for the month of February 2012 and thereafter, the artworks and links to the artist’s websites will remain online in the Light Space & Time Archives. Congratulations to our artists who made our “All Women” Art Exhibition so successful this month. At any time, we invite our winners and other interested visitors to link their websites to the Gallery’s archive page for further ongoing promotion. The Light Space & Time Online Art Gallery will have “All Women” Award Certificates, Event Postcards, Event Catalogues and Press Releases sent to you within the next week or so. Thank you for being part of the gallery. To return to the “All Women” Home Page. Top winning artists in the Painting Category (K thru Z).